On Tuesday, October 24, 2017, Fats Domino passed away at his home in Louisiana following a long illness. He was 89. 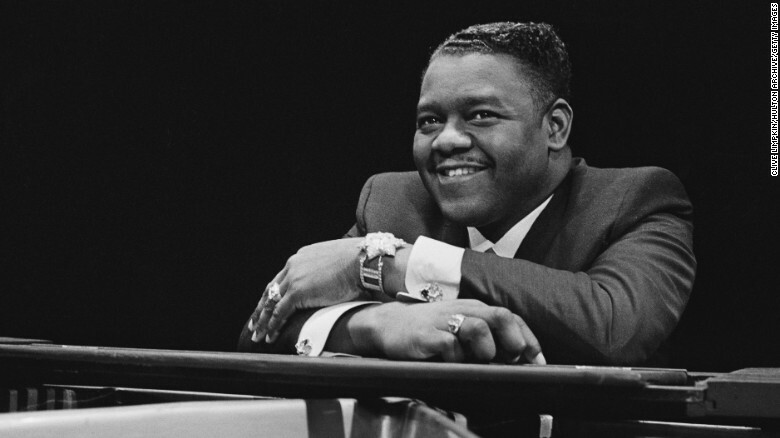 Born February 26, 1928, in New Orleans, Antoine Dominique Domino Jr. is considered by many to be one of the greatest rock and roll artists to ever live. With more than 30 top 40 hits in the 1950’s and early 60’s and more than 65 million records sold in the same period, only Elvis was a bigger act in that time period. Those numbers are no small feat for anyone, but even more impressive for an African American musician growing up in the Jim Crow south who had the equivalent of a 4th grade education. Fats Domino learned to play piano from his brother-in-law, Harrison Verrett, a jazz guitarist. He received his nickname from Billy Diamond, a New Orleans bandleader, who was so impressed with Domino’s skills that he asked him to join his band which was the house band act at the Hideaway Club, in New Orleans. It is reported that Diamond gave him the nick name “Fats” because his playing was like that of Fats Waller and Fats Pichon, two well respected pianists who had come before. Domino’s first hit, “Thin Man”, which he co-wrote with producer and songwriter David Bartholomew, was released in 1949 for Imperial Records and sold over 1 million copies. The majority of his best known work would be released with imperial over the next 15 years. After moving to ABC-Paramount and then to Mercury records in the 60’s and 70’s. Fats produced less popular hits but remained a popular act on the road. 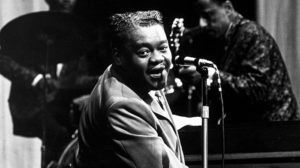 By 1986, when Domino was one of the first members inducted into the Rock and Roll Hall of Fame, Fats Domino had become something of a recluse and refused to leave New Orleans, even to accept the induction honor. Though he rarely left the city, he remained a popular face in and around New Orleans and continued play throughout the 2000s. In 1947, Domino married Rosemary Hall, and they had eight children; it was not known who he was survived by at the time of this writing. “Blueberry Hill” was Domino’s greatest hit record but he is known for a tremendous catalog that includes other classics such as “Ain’t That a Shame,” “My Blue Heaven,” “I’m Walkin’,” and “Walking to New Orleans.” His musical voice will be missed. Rest in Peace, Mr. Domino.